Jo and Ollie had their wedding reception at the Diglis Hotel in Worcester after a ceremony at their local church. The Diglis Hotel is a country house hotel that sits on the banks of the River Severn, right in the heart of Worcester. It's not the biggest hotel with the largest gardens, but it's intimacy makes it feel very warm and welcoming, and a great location for weddings. The Diglis Hotel benefits from it's riverside location when it comes to wedding photography. You can have your formal wedding photos on the lawn with the River Severn and the setting sun as the background, or take a leisurely stroll down the river for some lovely couples photos. The photo you see above is my favourite image from Jo and Ollie's wedding. To the outside perspective, this tree and patch of dirt in a dark part of the hotel grounds doesn't look like much, but some careful composition and off-camera lighting makes the world of difference. Placing the flash behind the bride and groom not only illuminated them but the tree and close surroundings also. 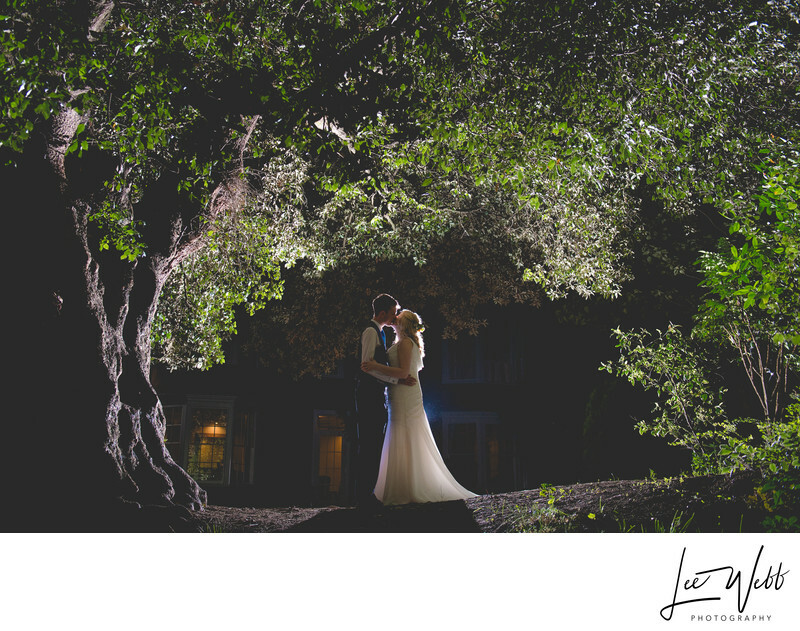 The thing I like the most about this image is how the shape of the tree perfectly frames the newly married couple, and the addition of off-camera flash serves to help emphasise this. To view the Diglis Hotel wedding website, please click here.